The Upbeat Dad! 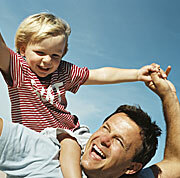 : The Official Launch of The Upbeat Dad! It gives me great pleasure to officially launch The Upbeat Dad today, October 4, 2010. It's an exciting time as I think of the significance of this launch. Over the past several weeks, I have shared with different persons my vision for the blog. The truth is, the idea for this entire project was birthed almost 10 years ago, long before "blogging" was a cool thing to do. There's a message to be shared with the world and this is simply one tool through which that message is conveyed. With the internet, a worldwide audience is simply an online connection away. So the timing for this launch, I believe, is ideal. If you haven't already done so, I encourage you to read the blog post from Friday, October 1. On that blog I gave some background information that led me to this point. I have a passion for fatherhood and you'll see on the post why it's so important to me. This weekend I had two separate conversations with friends - one in England and one in Canada. They both mentioned how desperately this message is needed in their countries. As you might see on your local news, the absence of fathers in many homes is of epidemic proportion. And many of these fathers are not involved in the lives of their children at all. Without a father's guidance, many children become affected in so many negative ways. Some symptoms of this problem are: crime and violence, decay in moral standards and disrespect of authority. - For other dads, I encourage you to read with an open mind. Sometimes, our plight is as a result of our own doing. In other cases, it's due to forces beyond our control. Despite these issues, we have a responsibility to fulfill and we owe it to our kids, their mothers and ourselves to play our part in the nurture and development of those who will lead the next generation. - For mothers and other guardians of our kids, I say, hang in there. The stereotypical "deadbeat dad" does exist. But there are also "upbeat dads." 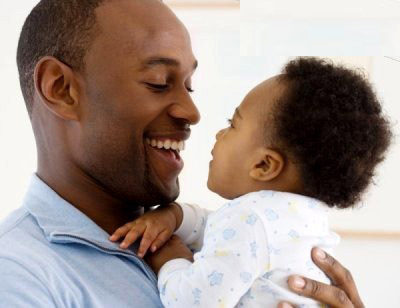 My goal is to spark debate that will ultimately result in fewer "deadbeats" and more "upbeats" who are truly "enthusiastic about fatherhood." - For kids, I also say, hang in there. As a child in school I was taught the saying, "The boys and girls of today will be the men and women of tomorrow." You are our future! And you're more precious than fine gold. You deserve the loving guidance that both parents give. I'll do my part, through this blog, to ensure your dads provide you with the security, encouragement, support and peace of mind that you so deserve. Please share this blog with others you know - particularly those you know are having challenges in the areas that are addressed. Subscribe to the posts, follow us on Twitter and Facebook. The issues that will be addressed need much dialogue so please do add your comments. Fatherhood is a privilege. And I hope that this blog will serve as a tool that enables our children to have the loving guidance, nurturing and care that will help them to become the successful men and women that they ought to be. Great days lie ahead! Enjoy reading!